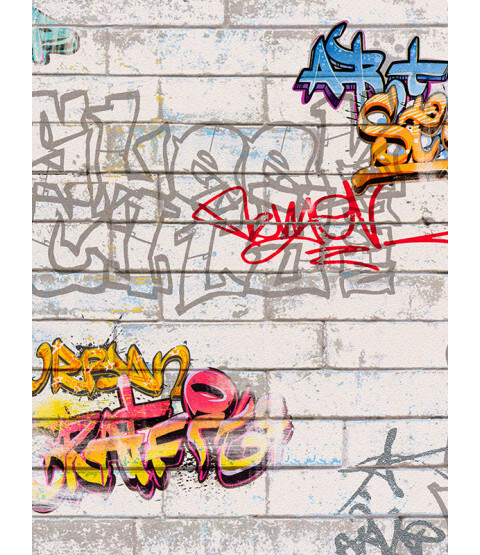 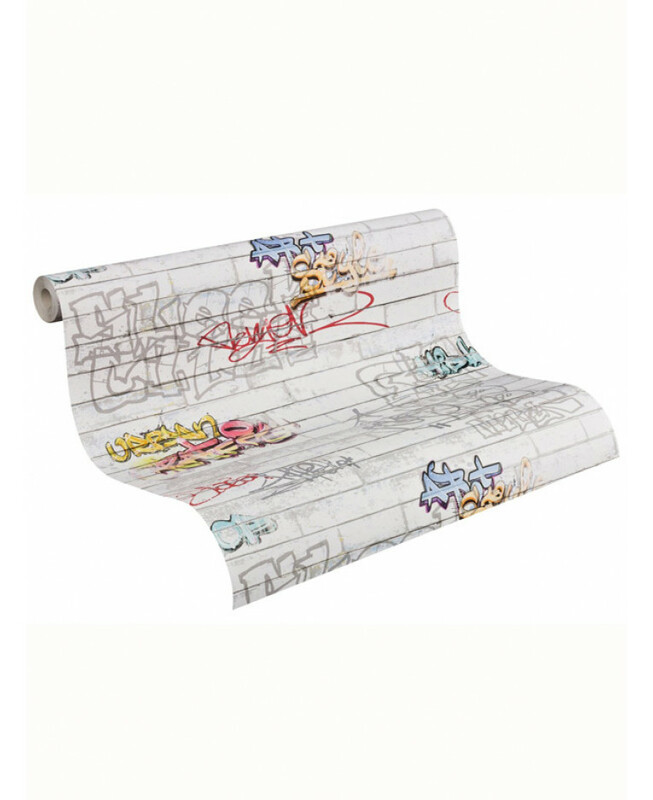 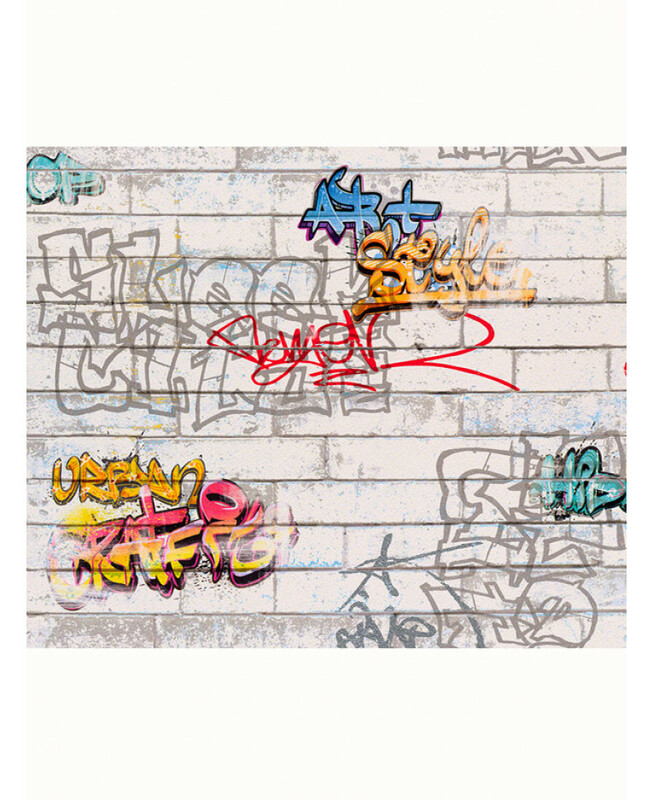 Give any room a cool urban theme with this awesome White Graffiti Wallpaper. 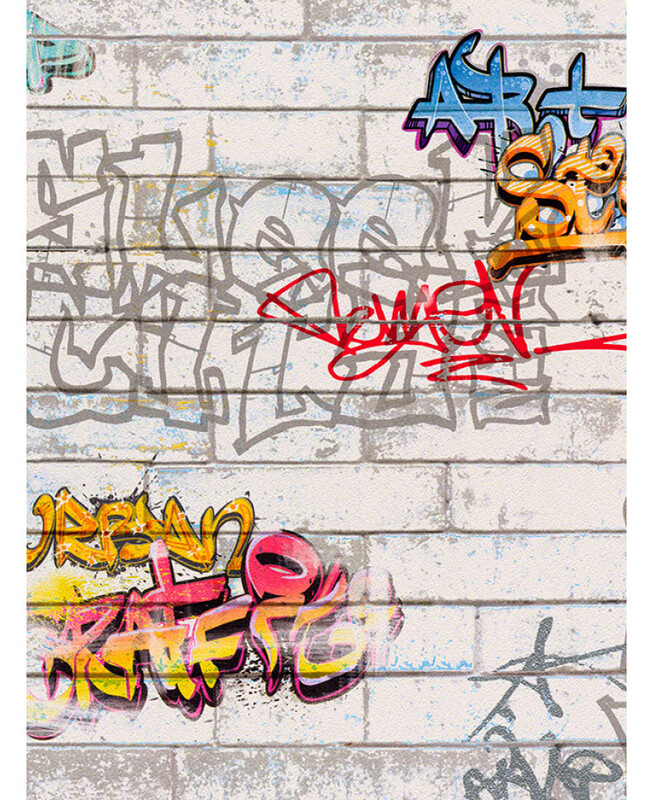 The design is based on a rustic white brick wall covered in colourful graffiti. 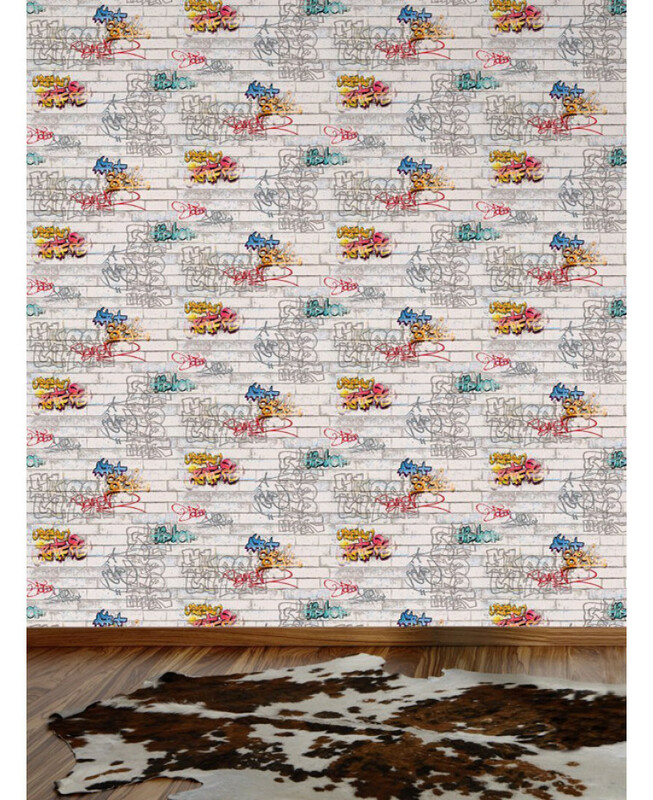 Easy to apply, this wallpaper will look great when used to decorate a whole room or when used to create a feature wall.